Mobile Apps Company is defined by our name. Mobile Apps Company is defined by our name. 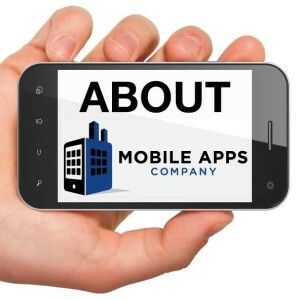 All we do is create compelling mobile applications for our clients so that they can better connect with their prospects, partners, vendors, employees and customers. While mobile devices have been part of our lives for well over a decade, we’d suggest that mobile apps have really only come into their own with the advent of the iOS and Android mobile operating systems introduced in 2007. Once developers saw these devices gain traction, it was only a matter of time before apps for iOS and Android became plentiful. Developers and consultants at the Mobile Apps Company possess years of expertise developing apps. Before mobile apps, some of our crew worked on developing desktop and web apps. While the devices and form factors may have changed, the solid programming principles and techniques they embraced in the past continue to serve our customers well today. No matter if you’re looking to have an app developed for a mobile or for a mainframe, it is crucial that the team you work with adheres to some basic development principles. At the Mobile Apps Company, every project follows this basic five step mobile development process. We’ve found that this process makes for a smoother path to project completion and ensures that your app will have the best opportunity to be successful and to be adopted by your target market.